Please check the major focus area that best fits your interests. Please list a few keywords that describe your work and interests Separate the words with a comma ( , ). Please indicate the main regions where you work or conduct your research. I graduated in July 2003 with a MSc thesis in Geology “Nature and composition of vulcanogenic deposit in the final part of Stromboli Canyon” from University of Pisa. In the same year I started my PhD in “Physical modeling for the environment protection at the University of Bologna where I graduated with the thesis “Distal turbidity current deposits cogenetic to holocenic landslides of Stromboli volcano (Aeolian islands, Italy): implication for tsunami risk assessment” on August, 2007. Since 2007 I was post doc researcher and my research activities focused on: Stratigraphic and geophysical studies of the deposits generated by the instability of the volcanic edifices for the reconstruction of geological parameters such as recurrence of the events, magnitude (volume), flow dynamics and tsunamigenic potential; Sedimentological and stratigraphical study of pyroclastic flow deposits occurring on basaltic volcanoes, and definition of physical parameters useful to the numerical modeling of the flows; Stratigraphic, sedimentological, geochemical and petrological studies on deposits generated during submarine explosive and effusive volcanic eruptions; their interpretation in order to reconstruct the dynamics of magma ascent, the crustal structures, eruptive dynamics as well as the mechanisms of transport and emplacement of deposits; Physical volcanology and geochemistry studies on products connected to the explosive and effusive activity of basaltic volcanoes with special focus on recent paroxysmal eruptions (1600-present) of Stromboli and the Canary Islands (El Hierro and Tenerife); Tephrostratigraphic and tephrochronologic studies on distal tephra in continental, lacustrine and marine sediment sequences with particular interest in the central southern Mediterranean area, Patagonia and the Ross Sea, Antarctica. 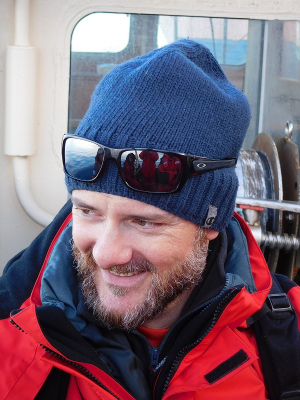 I'm now researcher at the Istituto Nazionale di Geofisica e Vulcanologia, in Pisa and PI of TRACERS project TephRochronology and mArker events for the CorrElation of natural archives in the Ross Sea, Antarctica (PNRA16_00055 - A3). Mentoring activities you are interested in participating in (check all that apply). management and occasional research-specific discussions/questions. posted online for future reference. We would very much like to include you in the online mentor database that is available to our members, but we also understand that you might only want us to use your information for our internal purposes. Please let us know if we can include your information on our website.